Intimidated by computers? New to email and the Internet? Curious about operating systems and online safety? We’ve got the information you need to better understand computers and how they work in our Technology Basics series. Learn more about using web browsers, navigating Windows 10 and OS X, and staying safe online here. 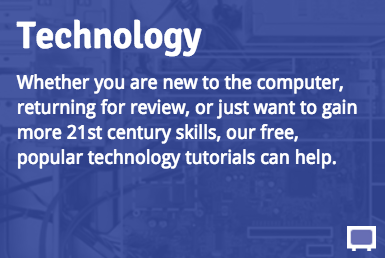 You’ll be tech savvy in no time! 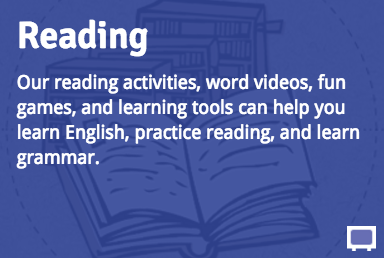 Whether you want to learn new words, practice reading, or review those grammar rules you forgot, our reading program is for you. Whether you’re completely new to Microsoft Office or are just looking to refresh your skills for a potential job or the one you’re already in, you’re in the right spot. 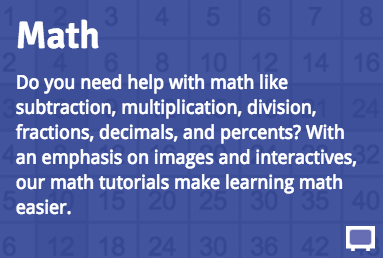 Our lessons offer a mix of text, video, interactives, and challenges to practice what you’ve learned, so you can learn the basics and more of Access, Excel, Outlook, PowerPoint, Publisher, and Word. You’ll also learn tips, tricks, shortcuts, and more to better use these programs in work and life. Let’s get started! Looking for a job? Interested in changing careers? You’ve come to the right place! Use our work-focused lessons to arm yourself with as much information as possible to get ahead in your career or start a new one entirely. In Resume Writing, you’ll see a gallery of options based on various industries and learn strategies for creating your own. In Job Search and Networking, you’ll discover how to search for jobs online and network with other professionals in your field. In Interviewing Skills, you’ll learn best practices for what to do before, during, and after the interview. So what are you waiting for? Get started on the right career path today!